The year's most buzzed about new country artist is one most country fans may never heard on the radio. 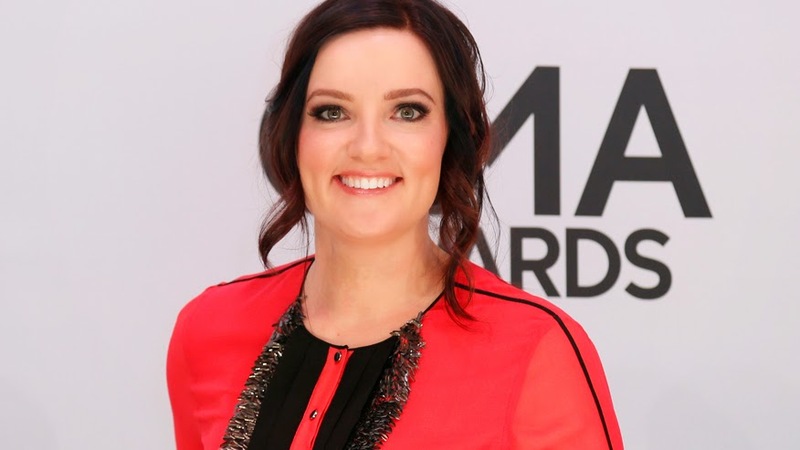 Brandy Clark, an openly gay artist who sings, among other things, about pot-smoking housewives, had almost given up on becoming an artist herself, despite writing hits for The Band Perry, Miranda Lambert and others. But her debut album, "12 Stories," which peaked at number 23 on Billboard's Top Country chart, took her on a slow-burning path to this year's nomination for new artist of the year at the Country Music Association Awards on Wednesday. "I had been passed on a lot," said Clark, 37, during a recent interview at her management office on Music Row. "I think it's because I didn't really fit what is a mainstream country artist. I was over 30 and over a size 2. I was kinda more your average woman than your average super model, which is why my music resonates though." To call her a dark horse in the awards show is somewhat of an understatement. She's the only female artist in the new artist category and her album didn't get one single on the country charts. While the rest of country music is awash in good-time party feelings, she's singing dark, edgy tales about infidelity, divorce, murderous lovers and painkiller addiction. Clark also shares a songwriting nomination with Kacey Musgraves and producer/songwriter Shane McAnally for song of the year for "Follow Your Arrow," a song that was censored during last year's television airing of the CMA Awards for a mention of "roll up a joint." "Like I said early on to my manager, my music is Showtime and HBO," Clark said. "And I'm going to always keep it Showtime and HBO." But she's also got a lot going in her favor. "12 Stories," which came out in 2013 on the independent label Slate Creek Records, was named one of the year's best albums by several national music critics and Warner Bros. plans to re-release it. Her most vocal supporters are heavy hitters like Musgraves and Eric Church, for whom she's currently opening on tour. "I think with or without a nomination, what Brandy does is so strong on its own that it can't help but reach people," Musgraves said in an email interview. "It's just too good. But it makes me really happy to see people like her getting the recognition and nominations that are so wildly deserved for our genre." And while Clark is not the first gay artist to be nominated — most notably singer Chely Wright had multiple CMA nominations before coming out in 2010 — Clark said if people want to believe she's breaking down boundaries in country music, she's glad to take on that role. "I feel so fortunate to be in a time where I am embraced completely as who I am and I don't have to hide who I am in any way," Clark said. "I hope that we've broken some boundaries and things are changing. I feel very included in the country music community."